A robot toy is very popular nowadays among both people and adults who are interested in technologies. We can play and interact with them because they are smart and the two choice you may want to check are Anki Cozmo vs Meccano MAX. 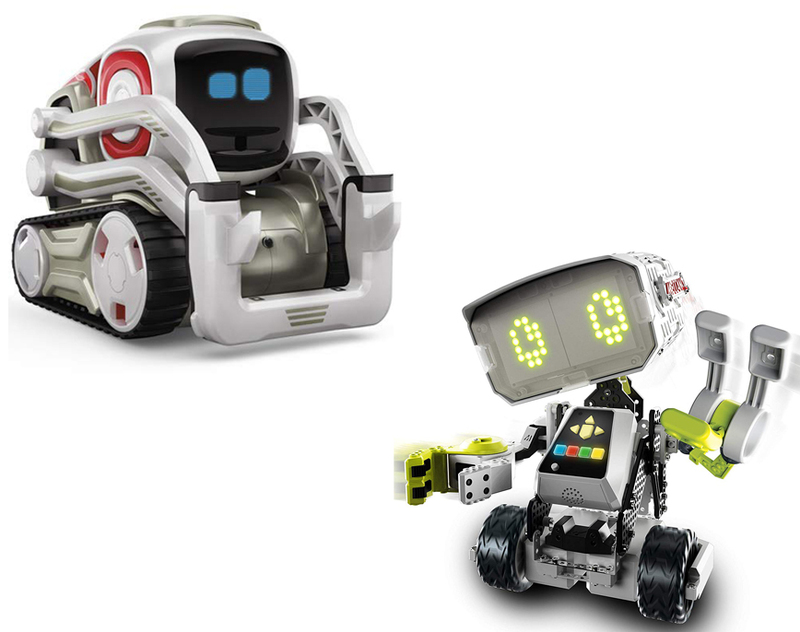 Both of them are smart robot and can be a nice gift to give to children or adults with the same hobby. If you are not sure which to choose, go check our article below to see how they differ from each other. Apparently, not only children love toys because we adults also like them and while we have different preferences, a toy is meant for entertainment even though many of them offer an educational material as well like robot toy. For children and adults, robot toy not only entertaining but also help them to understand more about the technology especially for children who set their dreams on robot science; a robot toy can help them understand more about the basic and teach how they work as well. One of the most popular robot toy in the market is Anki Cozmo and though the toy has been available since several years ago, it is still very popular today due to the intelligent feature to deliver entertainment for us. The manufacturer also released a new robot similar to this called Vector and you can check them on Anki Cozmo vs Vector here for the comparison on both robots. As a toy, Cozmo is very smart but you will need an internet connection to command him. 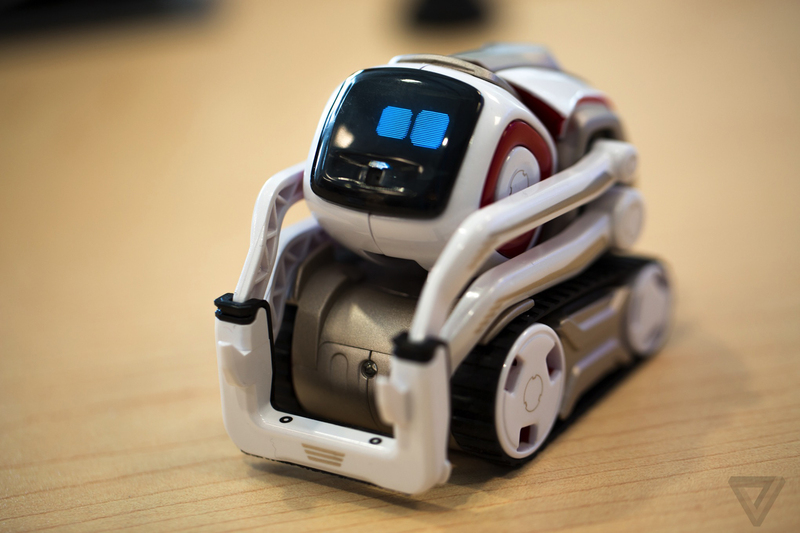 From the design alone, we are sure most people see the Anki Cozmo as a cute little robot and he certainly is. This toy is very small and when placed on an adult hand, the item won’t even cover them fully and for the color scheme, he is also cute with a combination of white and red in some of its part. When lights up, the eye will be blue and it have 4 wheels along with a lifting hand to carry its cubes and to do some tricks. To understand what Cozmo can do, we can see its capabilities on his app. When you open the app, we can see that it is quite colorful and pretty easy to navigate from one page to another. To see the games and tricks he can do, we have to go to “Play” and here we can see what tricks and games it can perform. Currently, the robot can play more than 10 trick such as fist bump, roll a cube and build a pyramid with the cubes. Cozmo will come with 3 cubes, so he can do many tricks with them. As for the game part, he also have several games and even more on the “Code Lab” or build some codes as well if you want. Beside the game and tricks, Cozmo also have a camera on “Discover” and “Explore” page. We can see what’s in front of the robot and we can even adjust the position or make the camera go up and down and navigate the robot through the app. It is good to find another option when looking for something because then we can compare them and see which one of those product can offer the best benefit or have the kind of capabilities you like better. Besides robots from Anki like Cozmo, there are other interesting robot toy from Meccano called Meccano MAX. However, unlike Cozmo that comes already built, we have to build MAX from parts and depend on your skill, it may takes several hours to finish him. When built, MAX will have a height about 12 inch tall and he is definitely not as tiny as Cozmo because he will be the size of your small dogs. He has wheels to roll around your house and a pair of hand to grab something or hold on to something. The face of this robot is pixelated and he can make many expression with this face. In the body, there are several buttons called meccabrain and in the package, he has a brother which is a dinosaur and he can move as well. You will need a computer to make MAX working and to upgrade its software. For further details, all the instruction will be available in the instruction sheet or ask the support teams if there is a problem. When all it set properly, your robot will try to record the basic information and checking if his body parts are working. He can do many things and since they put artificial intelligent, he will interact with you and listen to what you are saying. What we love the most about MAX is he doesn’t need an internet connection and because he won’t need to translate your word, the answer is pretty quick; sometime he can even respond before we finish talking. One of the thing we can ask him to do is sending an item to someone and you may need to use the navigation as well here since he cannot recognize face or understand to whom you are planning to send the item to. Additionally, he also recognize 15 voice commands such as “tell me a fun fact”, “let’s dance”, “let me introduce you”, and “tell me my fortune”. He also able to remember something; for example we can show him something and tell him what it is, so next time he see the item, he can tell what it is and the function. Now, let’s compare Anki Cozmo with Meccano MAX. As you may already know, the prominent difference between these two robots is MAX will need us to build him first and unlike Cozmo that can be used and command with the app, MAX will receive command from your voice because there is no mobile app here. - M.A.X comes with built-in infrared sensors, to help it sense obstacles and navigate surfaces as it rolls around on sturdy smart wheels. 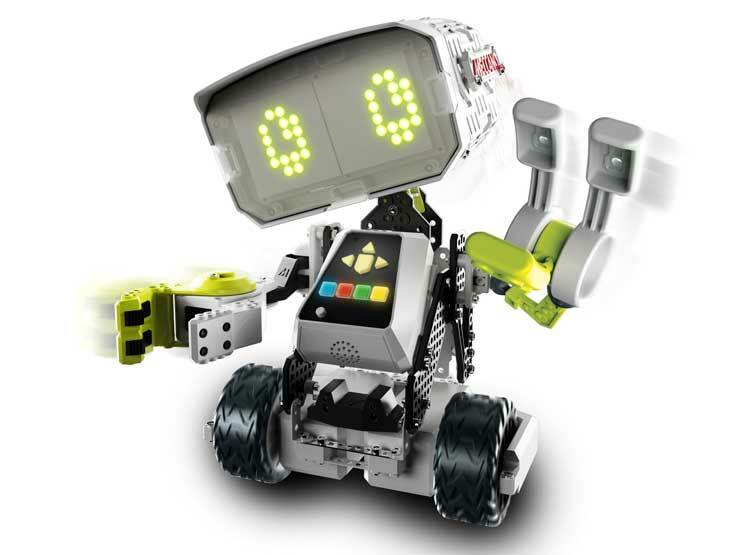 - Challenge young minds with this S.T.E.M robotics toy. Perfect for budding engineers, builders and visionaries, M.A.X requires kids to engage in critical thinking. - M.A.X is a robotics toy recommended for kids aged 10+. Intermediate complexity level. Build time of 1-3 hours. All in all, the decision is all yours to make since both of them can be a great toy for robot enthusiast. However, if you prefer something that can be instantly played, the Anki Cozmo will be a better option.